Deputy communications minister Stella Ndabeni-Abrahams took a stand after she learnt that her department’s director-general misled parliament. Ndabeni-Abrahams told the Mail & Guardian this week that although Rosey Sekese had told the parliamentary portfolio committee on communications at previous meetings that she had signed her performance agreement for 2012-2013, the deputy minister was startled to discover later that this was untrue. Ndabeni-Abrahams said she took action after a human resources officer in the communications department tipped her off at a parliamentary meeting two weeks ago that Sekese had still not signed her performance agreement. 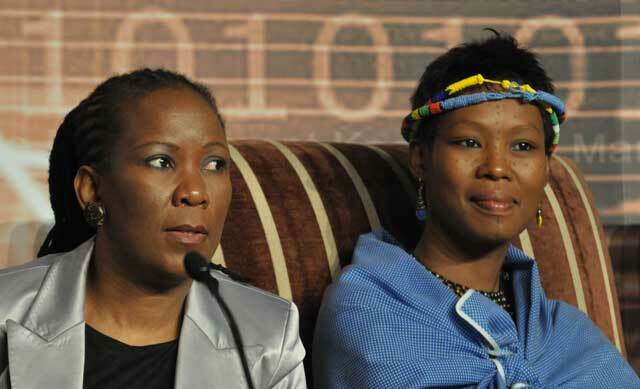 “Of course, I raised the issue with her during the break,” Ndabeni-Abrahams said. “I called her over and said: ‘Madam, you don’t lie to parliament. I have discovered you haven’t signed your performance agreement.’ She did not dispute it. “I went back in and apologised to the committee for misleading them and told them I had been given incorrect information by the director-general,” said Ndabeni-Abrahams. The deputy minister’s actions caused the committee to resolve to take action against Sekese for allegedly making a false statement. Although rumours have been circulating that Sekese is being sidelined by the ministry and by a certain camp in the communications department, her colleagues were keeping mum this week. Sekese could not be reached for comment. On Tuesday, the communications committee heard a legal opinion by parliamentary law adviser Charmaine van der Merwe, who found that any false statement hampered parliament in the execution of its oversight function and thus interfered with the business of parliament. This, she said, was a serious offence, punishable by a fine or imprisonment for up to two years, or both. The committee decided to call Sekese back to parliament to give her side of the story and provide a copy of her performance agreement. Communications minister Dina Pule will be asked to attend the meeting to decide on a further course of action, if necessary. Ndabeni-Abrahams said she did not believe Sekese had signed her performance agreement since the dispute began in parliament two weeks ago. Committee members have also been informed that Sekese’s performance agreement for the previous financial year was not signed. Despite the fact that 158 of 309 employees received performance bonuses, the department of communications had not met half its targets, it emerged in parliament. The auditor-general has warned the committee that leadership instability in the department is one of the main reasons for the communications portfolio being “in a mess”. Although the department received an unqualified audit opinion for the 2011/2012 financial year, the auditor general flagged the fact that senior managers had not signed performance agreements, contrary to the public service regulations.